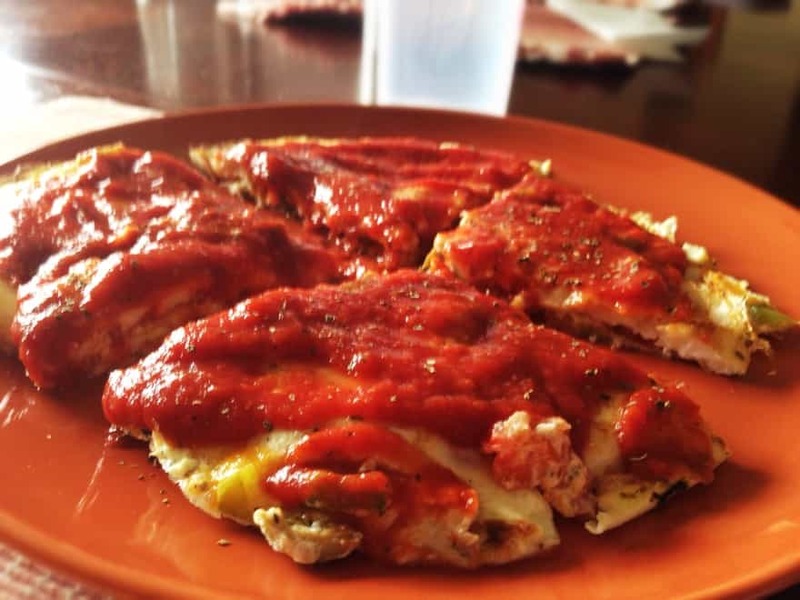 Such a simple but delicious low-carb meal! You can easily customize this recipe with whatever toppings you like, here’s my favourite version! Directions: Spray a medium-sized frying pan with pam. Heat over medium-low. Pour in the egg whites and add spices. Cook until egg just starts turning white, sprinkle your toppings over the eggs. Continue to cook over low enough heat as not to brown the egg too much while cooking it almost through. Then carefully flip the eggs like a huge pancake and cook on the other side just until set! Take off the heat and top with your warm pizza or marinara sauce and a few extra spices. Slice with a pizza cutter and dig in! You may not be able to hold this like a regular pizza but it will definitely still taste delicious! 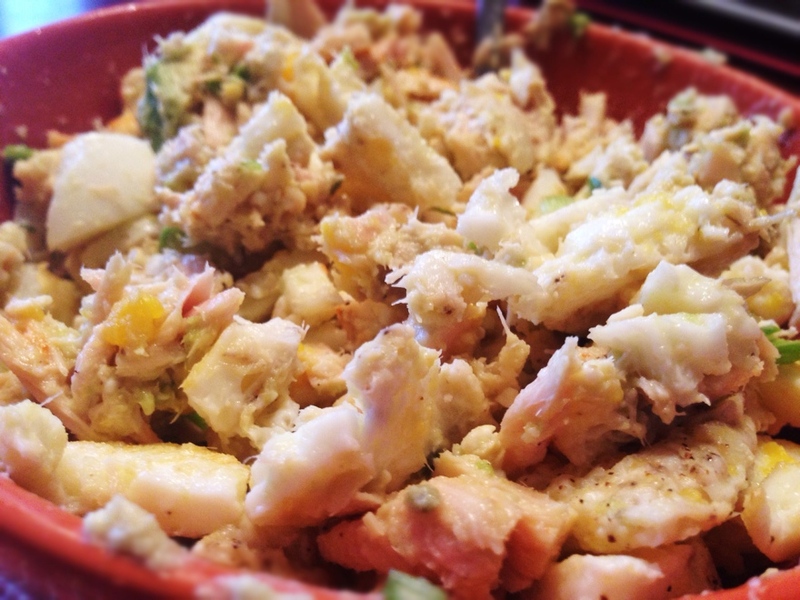 August 26, 2013 September 3, 2018 by sammysamgurlLeave a Comment on Healthy Spicy Jambalaya! If you’ve ever had good Jambalaya then you know how amazing it can be! I mean what is better than shrimp, sausage and chicken all in one bowl? Uh..nothing. These are 3 of my favourite things so when I went out for dinner the other night I knew what I was ordering! Plus I love everything spicy..so that was just the cherry on top of the cake. After devouring my delicious meal, I knew I had to try and re-create this awesome dish at home..because well, let’s just say the restaurant version could not exactly be considered “healthy”. So I went to work in the kitchen and created this little masterpiece! And although it took a little more work, it was totally worth it and turned out better than I had expected! I hope you enjoy this dinner for one as much as I did! -Optional: Grated or dry parmesan cheese and additional oregano for topping. Directions: Cook your rice. Heat a pan over medium-low heat. Add olive oil and rotate pan to coat it. Add your garlic powder. Once hot, toss in onions to cook for a minute or two, using a little water and a lid to help steam them. (make sure not to burn them!) Then add peppers, stir for a bit until cooked to your liking, then add meats and all other seasonings expect fresh oregano (if using dry then just add it now). Next add your rice and sauce. Stir it all a bit more to combine everything and warm the entire dish. Now add your oregano and pour your Jambalaya into a bowl. Top with optional (but recommended!) parmesan cheese, additional fresh oregano and dig in. Enjoy! Coconut Maple Pecan Dessert Quinoa! 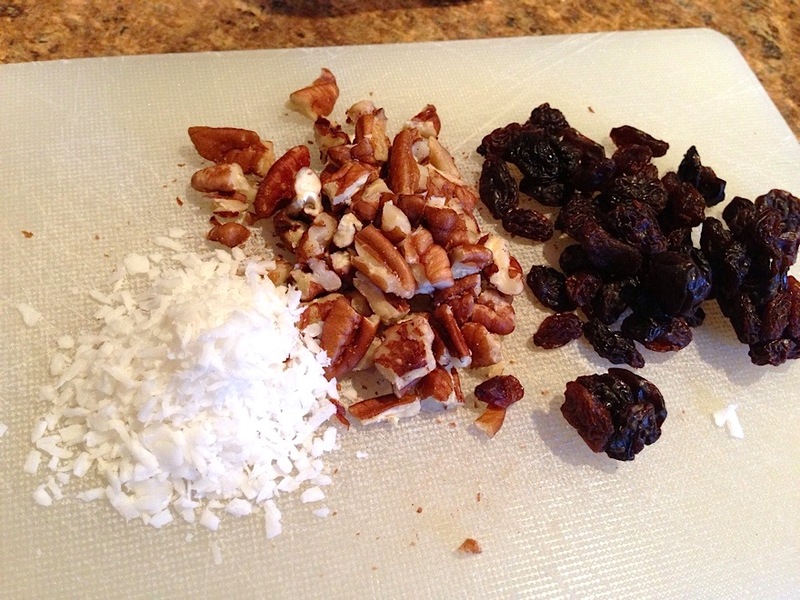 August 4, 2013 by sammysamgurlLeave a Comment on Coconut Maple Pecan Dessert Quinoa! Dessert for dinner anyone? With this recipe it’s so good for you, you can eat it any time of the day! It’s super filling & tastes buttery and delicious…I could eat this again and again! It’s a great meal if you are heading out and won’t be eating again for a while because it’s loaded with fibre and protein. It’s everything we love in a dessert..sweet, creamy, warm…all packed into a perfect serving of what some may call “super food”. Spicy Sauteed Cabbage & Red Onion "Noodles"
August 4, 2013 by sammysamgurl3 Comments on Spicy Sauteed Cabbage & Red Onion "Noodles"
Hey all! This is a super simple recipe…it makes a great side dish to any dinner. Cabbage has always been one of my fav green veggies to cook and this dish also makes a great meal if you throw in some chopped spicy turkey sausage! The cabbage act as noodles so all you low-carber’s(yes I just made that word up..) out there, this one’s for you! Directions: In a small frying pan, heat olive oil over medium-low heat. Once hot, add the onions/cabbage. Add your spices and cook, stirring often for 7-8 minutes or until the cabbage has started to become soft. Serve! Simple as that. 60% of daily Vitamin C requirements. 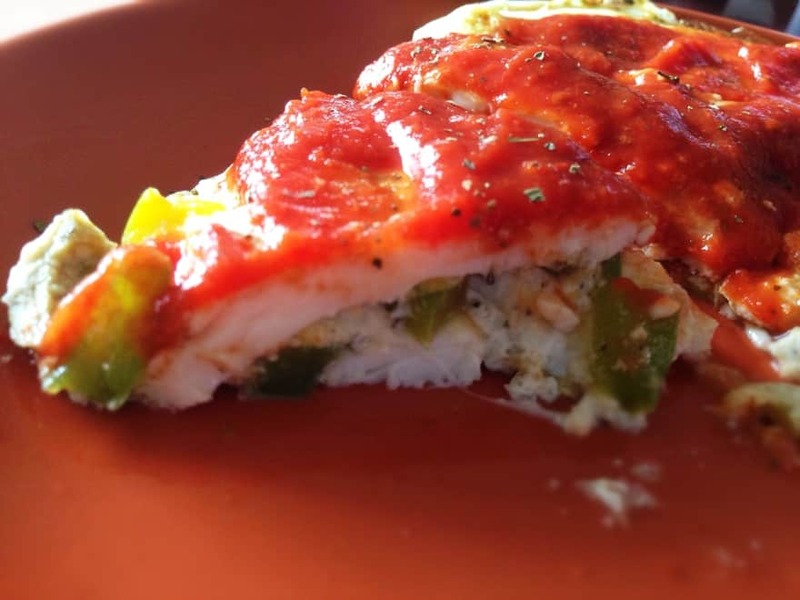 This recipe is easy to prepare, high in protein and very low in fat. It’s perfect with a side of your favourite vegetable and rice. I really enjoyed this as a quick lunch and I will definitely be making it on multiple occasions! Preheat your oven to 375*. Grab a small baking tray(optional) and a piece of tinfoil. Place your filet on the tinfoil and using a brush or your fingers, spread olive oil over both sides of the filet. Next, squeeze your lemon juice over the filet and season both sides with salt & pepper. Lastly sprinkle fresh parsley over top and wrap up the filet in the tinfoil. Place in the oven for 12-15min. (Until the fish is white and flaky). Serve! Directions: Place the 2 romaine leaves on a large plate and sprinkle tomato, avocado, red onion, green onion, garlic/onion powder and red chili pepper flakes on top. Meanwhile, preheat a frying pan over low-medium heat sprayed with a little olive oil cooking spray. Cook 2 eggs until just set(middle still runny) by cooking gently on each side for about 1-2minutes. (while cooking sprinkle well with salt and pepper). Take off the hot eggs and top each romaine leaf with one each. Grab a fork and knife & break the yolks of each egg letting the beautiful yolk spill over your lettuce wraps! Enjoy! 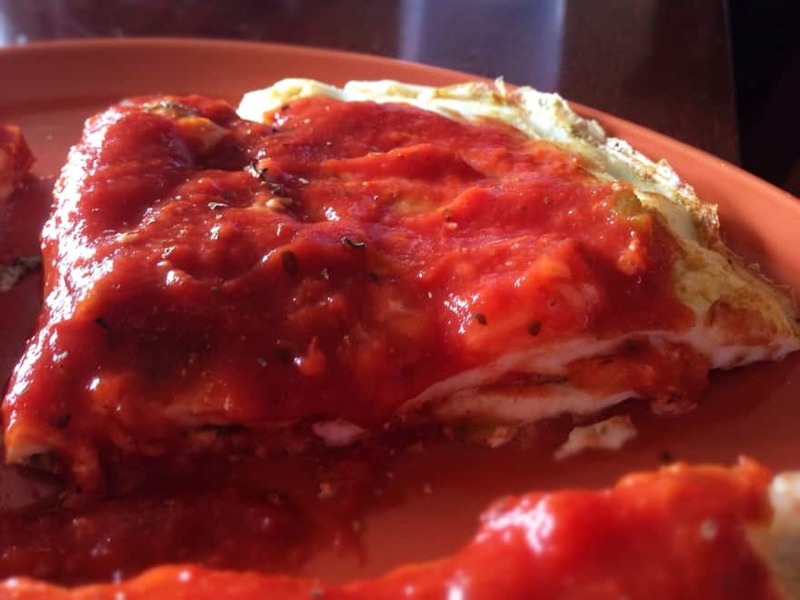 I’ve always loved the fact that egg yolks create their own delicious sauce! Honestly I am not sure why I didn’t post this recipe sooner! I eat this almost weekly and it’s one of my favourite simple meals! It’s so filling and delicious, I don’t feel like I am missing out at all when I eat this awesome dinner. It’s better than TACOS. I’d never thought I would say that but yes I prefer this salad to regular tacos! It’s also high protein and lower in carbs. If you love mexican food and tacos as much as I do then you are sure to love this dish… Take me to the recipe! Ahh..Summer, the perfect time for swimming, camp fires, long walks and delicious food. Looking for the perfect summer lunch? 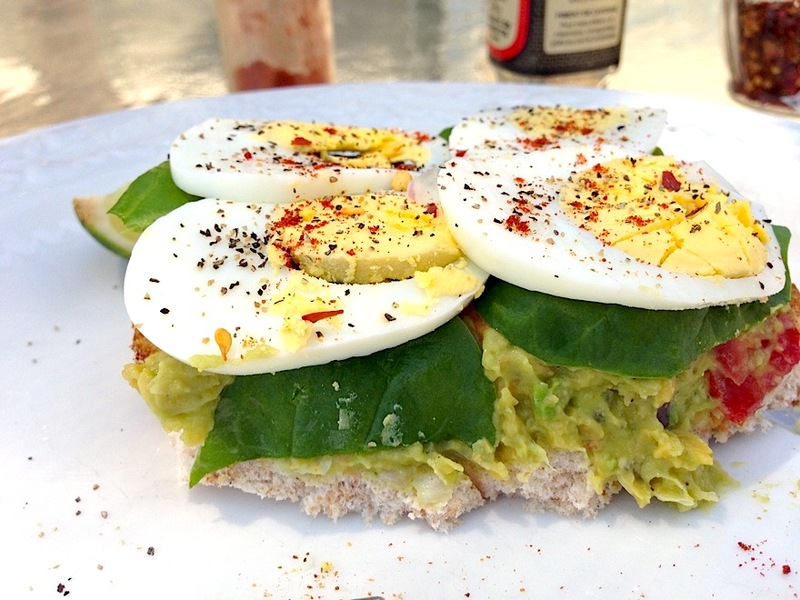 Try my Open-Faced Avocado Chickpea Sandwich. I love avocado and chickpeas so I thought why not combine them in a beautiful sandwich rather than my typical salad. 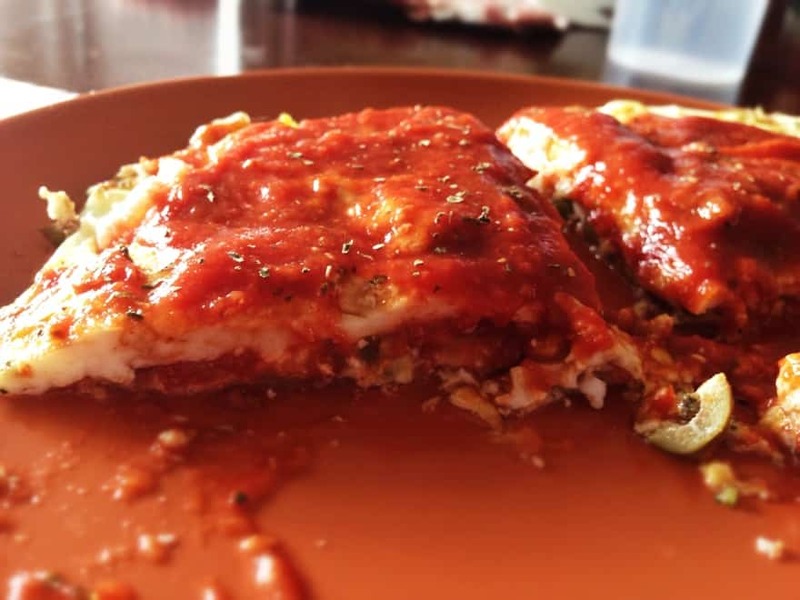 It turned out super delicious, packed with protein and the perfect meal for vegetarians! Directions: In a small bowl, mash together the avocado and chickpeas. (optional-I left out a few chickpeas to add back in later for extra texture). Once combined add in the other salad ingredients and finish-off with salt/pepper & lime until it’s seasoned to your liking. Next either toast your bread or leave it as is. Spread the salad mixture on top of the bread then place spinach leaves on top and your egg layer on top of that sprinkled with spices & additional salt/pepper. Now grab a fork and knife or use your hands and dig in! Enjoy! P.S, My perfect side to this sandwich is a serving of large frozen shrimp thawed and deveined with cocktail sauce…amazing!